Are you preparing to design and build a fully realized landscape on your property in Northern Michigan? Waterpaw is a full service site design company. We can help you create the yard of your dreams. We have decades of site design experience in Northern Michigan and we listen to the needs and desires of our clients to create a wholistic landscape that pleases the people who live in and experience the spaces. Whether you are on the lake or off our designs compliment your home and aesthetics. Looking for a landscape that will grow with your family? Or, looking for a perfect place to wow and entertain your guests at your Up North Getaway? Waterpaw designs and builds spaces that create magic in your daily life. Often, I will be speaking to a friend and the topic of "unnecessary" landscaping will come up. "Why spend that money?" they will say. I then describe the act of walking through a landscaped space between your car and kitchen at the end of the day... you pull into your driveway and are instantly transported to a space that was tailored specifically for you. The trees, shrubs, flowers and streams create eye lines to your home, family and oasis. Before you even leave your car your blood pressure has dropped a little and your face has begun to relax. As you walk the natural stone path to your house from the garage the scent of flowers and running water will waft around you and maybe you notice a dragon fly on the pond or a humming bird in the roses. By the time you walk through your door you have been transported Home both inside and outside. Why would you deny yourself that kind of gift? 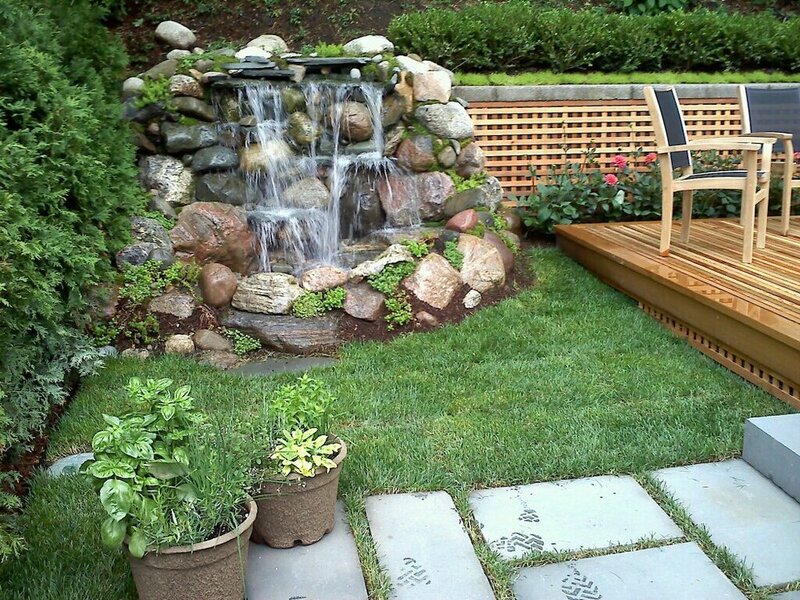 When you are ready to create your Home Outside call Waterpaw of Northern Michigan for your site design.